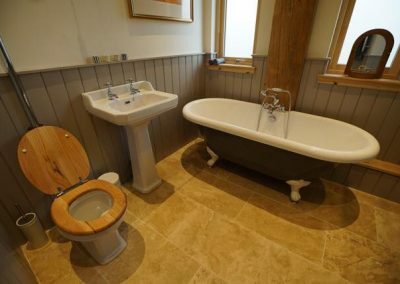 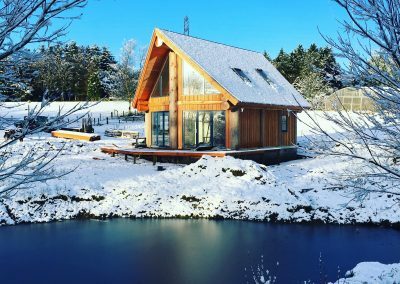 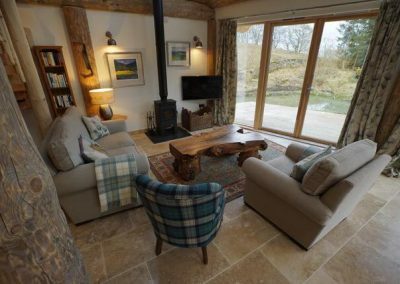 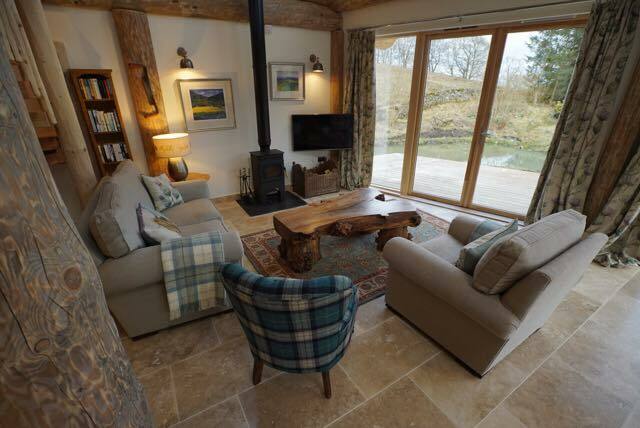 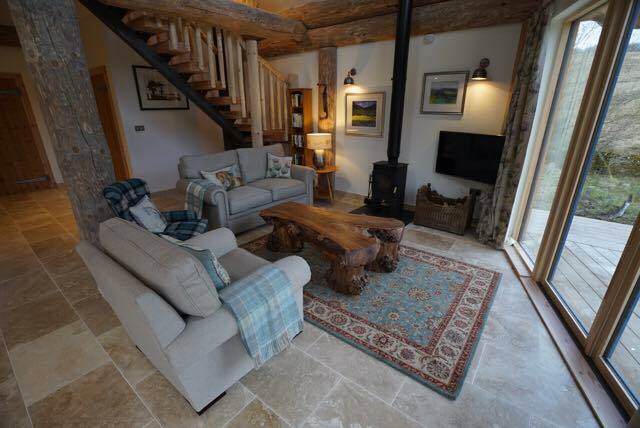 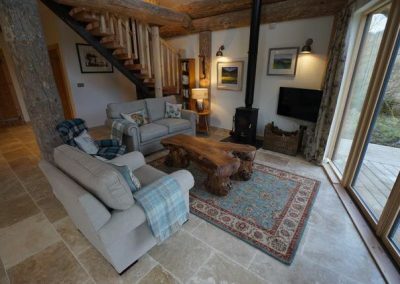 Another local build, this two-bedroom Post and Beam cottage is the perfect get away from the hustle and bustle of life. 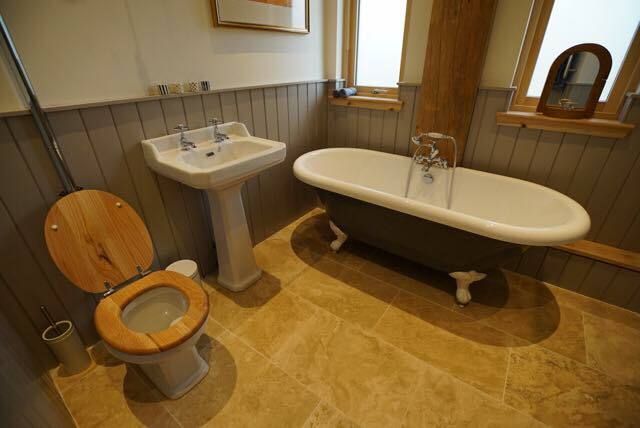 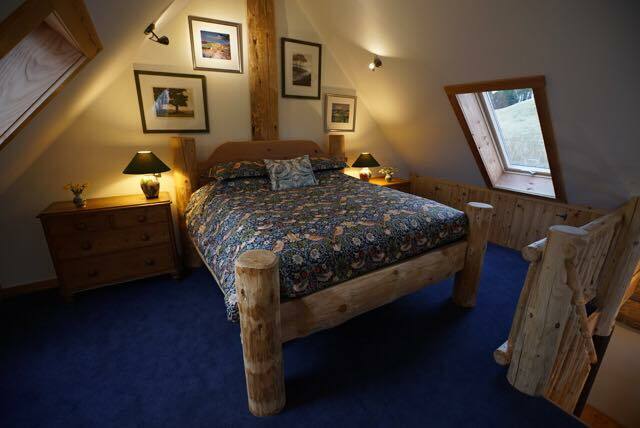 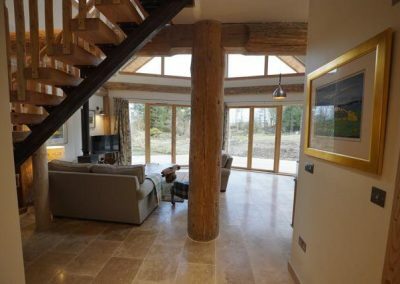 A rural retreat, it was all designed around the huge handcrafted custom log head which now towers across its mezzaine. Even owners, Bill and Sukie were surprised by the calmness and the quietness of the cabin, not a sound can be heard other than the faint snoring of those enjoying the comforts of the luxurious bed. 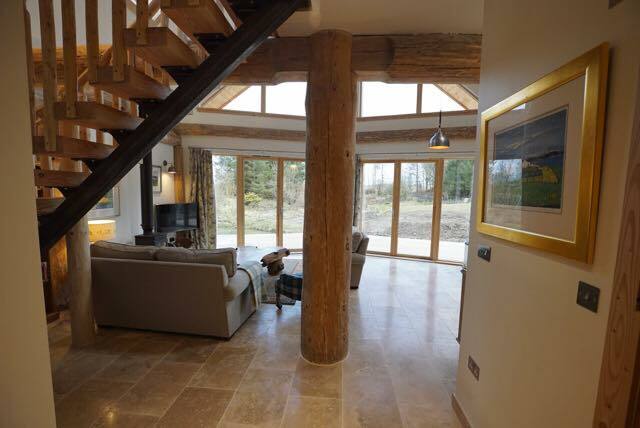 Stand out features include the prowed glass front, custom built steel and timber stairs and of course the unique handcrafted log bed. 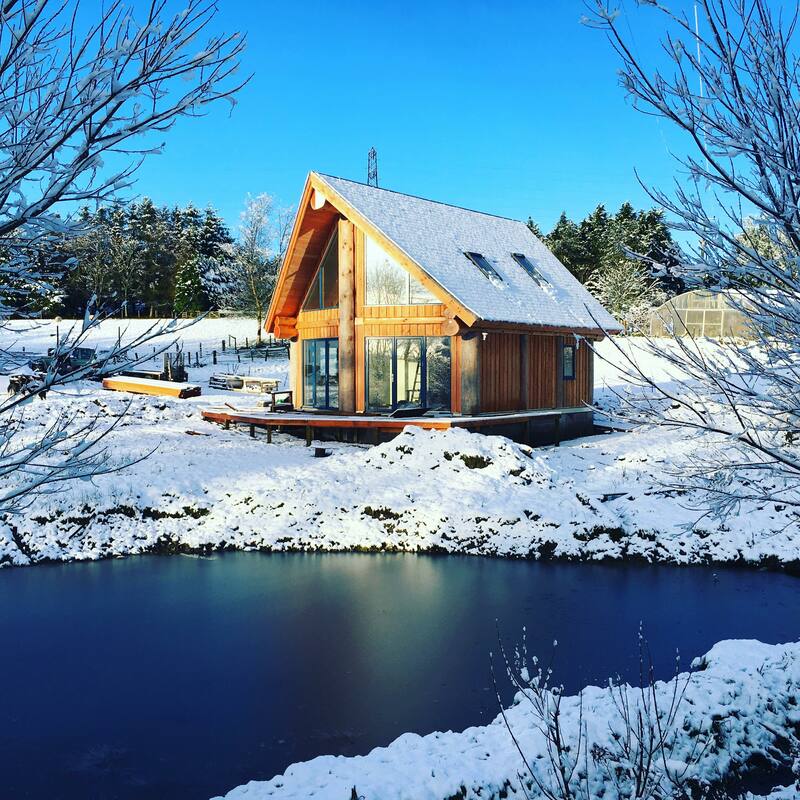 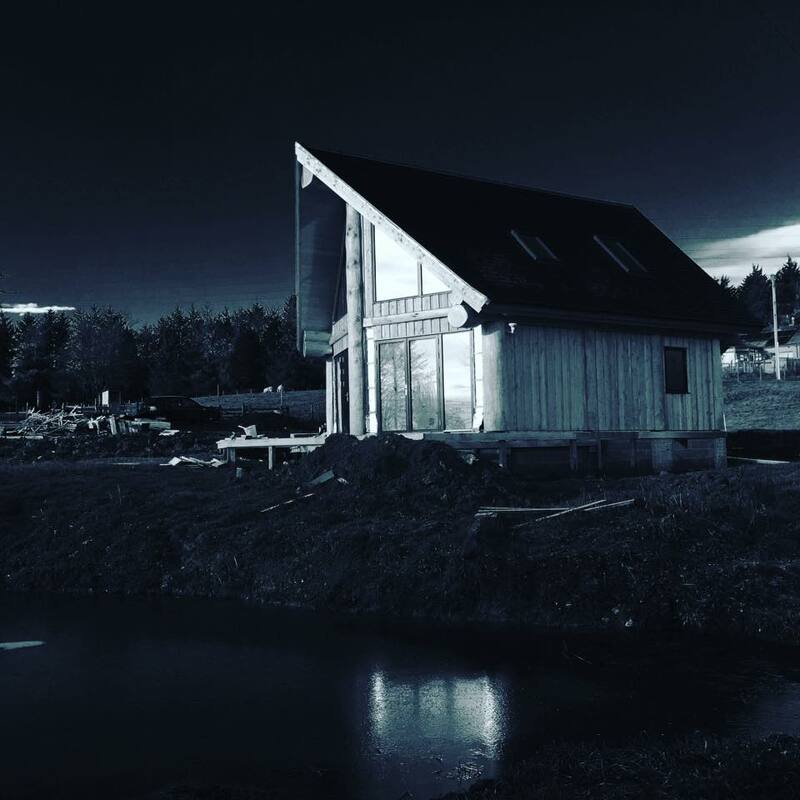 We are delighted and proud of the work of our log builders, joiners and architect who brought this build from concept through to completion.